AGING: 25% of the wine was barrel-fermented. 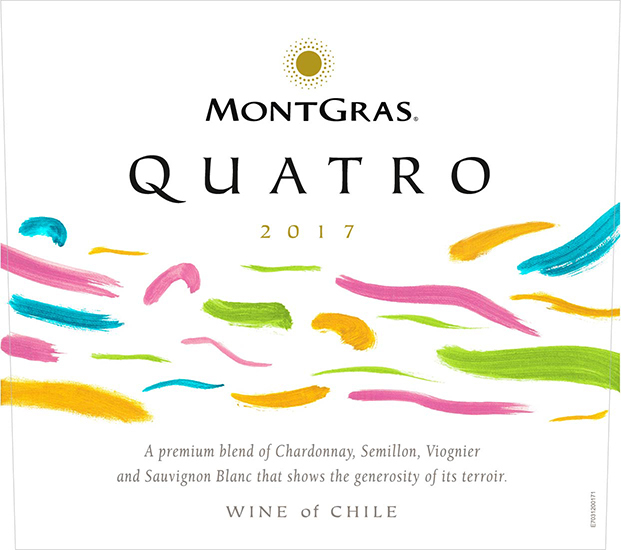 Quatro is a blend that achieves a perfect balance between its ripe fruit, freshness and acidity. This wine is a bright, clean yellow colour. 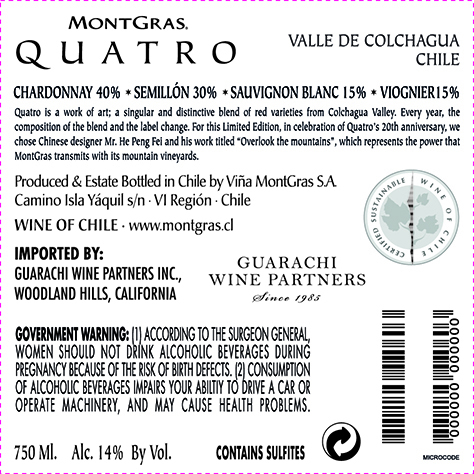 It has pleasant citrus aromas that combine perfectly with the tropical fruit notes from the Chardonnay and Sémillon. In the mouth, it is full-bodied and well-rounded, with a creamy texture that combines beautifully with its natural crisp acidity. This wine pairs very well with highly flavoured dishes containing fish or seafood, such as chupes (creamy casseroles) or pasta dishes.